Command Respect Everywhere You Go! Most guys struggle with building muscle. We help simplify the growth process by using a step-by-step plan, helping you achieve twice the muscle in half the time and build an ELITE LEVEL of confidence. Each technique can be implemented into your workout IMMEDIATELY within the first 5 minutes, and will give your muscles only ONE option: Growth! MASS CONSTRUCTION 16-WEEK MUSCLE BUILDING PROGRAM! Neuromuscular Contraction Techniques for Maximum Size, Strength & Symmetry! Mass Construction has paved the way into NEW and MASSIVE muscle growth! 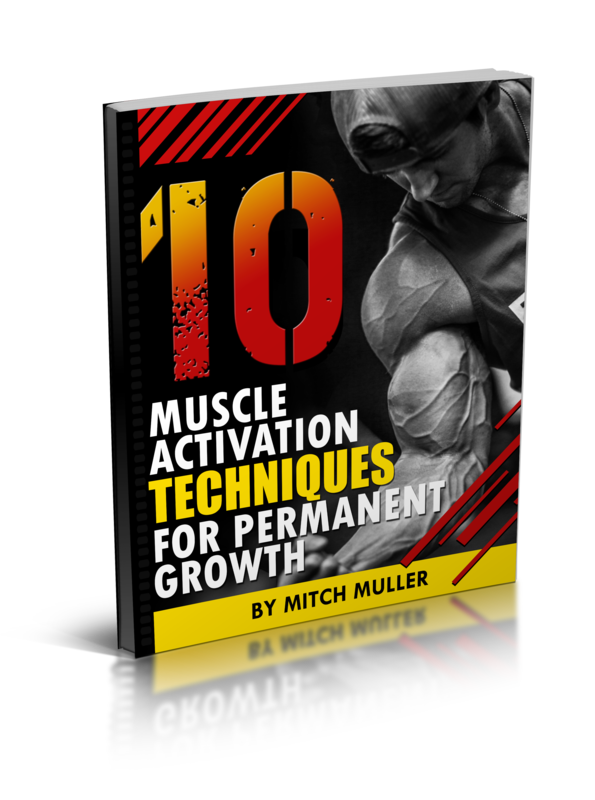 Learn the top strategies and techniques from Mitch Muller as you’re taken step-by-step through the “5-Step Framework” for the best transformation of your life. CLICK BELOW to get started! Mindset Empire Weekly Newsletter featuring new product releases, videos and bonus content for being a Mindset Member. These workouts are designed for MAXIMAL muscle growth in record-fast time: teaching you how to periodize your training for HYPERGROWTH! Regardless of your goals to burn fat or build muscle, these workouts are guaranteed to help you reach your goal faster and efficiently! ALL ACCESS Members also gain access to the Private Mindset Empire Community where they will be able to interact with Coach Mitch, the Mass Construction Team, and a worldwide support group of individuals with the same goals! community support from Mitch Muller and staff. Nutrition and supplement secrets and recipes! FULL Access to Mitch's MASS CONSTRUCTION and all of its components! Custom meal planning and coaching from Mitch (1 per month as long as you’re a member). "Through our faith first and fitness-second attitude that Mitch and myself both agree upon, I was able to achieve unreal results for my first Men's Physique show: Dropped down to sub 6% body fat and I put on 10lbs of lean muscle EVEN WHEN I WAS DIETING. Mitch's knowledge of nutrition and reaching your optimal performance is the gym is second to none! So blessed to have you as my coach and brother Mitch!" SCHUYLER H. – WENT FROM 11% BF DOWN TO 6% WILL ADDING 10LBS OF LEAN MASS DURING CONTEST PREP! Reached 11% to 6% Body Fat in 8 Weeks! Took home 1ST PLACE in his first competition! 12% to 9% Body Fat + 2 Inches lost on waist!